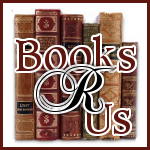 I want to welcome Graham Parke to Books R Us. Graham is the Author of No Hope for Gomez! . He is presently touring the blogosphere on his first virtual book tour with Pump Up Your Book! Thanks for stopping by. I've always been fascinated with bad luck. Is it merely noticing the bad more than the good? Is it that we fret longer over coincidences we don't like? Do we attract it like some kind of self-fulfilling prophesy? Or is there, as I’ve come to suspect, something far more sinister going on? My fascination with bad luck heightened while I was writing my latest novel, ‘No Hope for Gomez!’ The main character, Gomez, for reasons unbeknownst to me at the time, decided to put his bad luck to a quantifiable test. He wanted to find out exactly how his bad luck was dosed, and what brought it on. Now here was an interesting notion. One I hadn't actually thought of myself. So, for a few days, I let this idea stew and ferment at the back of my mind. Then, one night, I awoke with a workable test fully formed in my mind. It was a crazy test, of course. It was insane. It was like trying to lay bare the intricate machinery of the Universe. But it could be done. At the time, I was working for a company that had its own research department. Our researchers were people who had been hired specifically to come up with interesting (cheap) answers to strange (expensive) problems. They were good at thinking outside the box, and highly adept at building (cheap) models and (inexpensive) work-arounds. So, the following day, I lured one of our researchers away from his desk with the promise of coffee and interesting banter. This in itself was an accomplishment, as researchers always want to try one more thing before leaving their desks. They, in fact, continue to try one more thing right up until the moment the security guards throw them out of the building at night. Anyway, I carefully explained to this researcher my hypothesis (the Universe is inherently evil and some people get dealt more bad luck than others) and I stipulated the test I wanted to perform to prove this. So I explained the test again. This time using bigger words in an attempt to sound much more research-ery. Once again he simply stared at me. I realized we were experiencing an interfacing problem. My writer-brain was thinking fancifully about the possibilities of non-physical components to our existence, while his researcher-brain tried to understand what I was doing from a purely mathematical viewpoint. A viewpoint, I might add, from which my test could not possibly make sense. So I decided to leave my motivation out of it and simply described the test and the results I expected. We had lift off. The researcher helped me iron out the kinks in the test, knowing, as he did, about 'false positives' and ‘reproducibility’. When we were done, he was satisfied that the test was at least correct – if not completely useful. I've since run the test past friends and colleagues. These are people who work in fields as diverse as video-processing, digital art, and T-Shirt folding. None of them has been able to poke a hole in the logic. Gomez ended up performing the test to spectacular results in my novel. Yet, I haven’t performed the test on myself. I guess, deep down, I’m worried about the implications of ever finding irrefutable proof. No Hope for Gomez! is his fiction debut. Reviews for No Hope for Gomez! Check back tomorrow for My review of this interesting book.